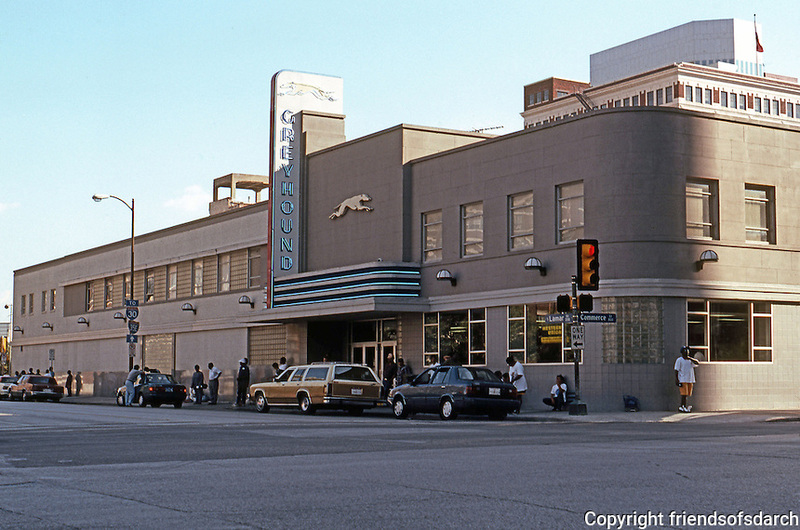 Dallas: Greyhound Bus Depot, c. 1946? Origins in 1920's--Russian Constructivism. Remarkable that this bldg. preserved.